“How so, Tarek?” Gordon hoped it hadn’t come to this, that the equipment the Egyptians were using to study these artifacts hadn’t detected what Gordon was here to discover for certain. “Radiation?” Gordon hoped his acting job was adequate to fool his old friend. “Very low level and I’ve been assured that it isn’t dangerous.” Tarek held up his hand and chuckled trying to put Ashe at ease. Gordon sighed. “Well, keep me informed if you can. I love a good mystery.” It was difficult to manage, but the Project’s technicians had woven non-ferrous fibers throughout his clothing as a sort of sensor net. His innocent looking cell phone, turned off for the visit, was connected to the net and concealed a scanner device specifically designed to detect chronoton radiation. He’d heard the rumors of Dr. Tawfik’s unusual radiation find. His mission here was to confirm that the artifact contained within the sled of Anubis was a Forerunner device, one that may have traveled through time or that was even capable of initiating time travel. Their laughter echoed in the archeologist’s dreams. 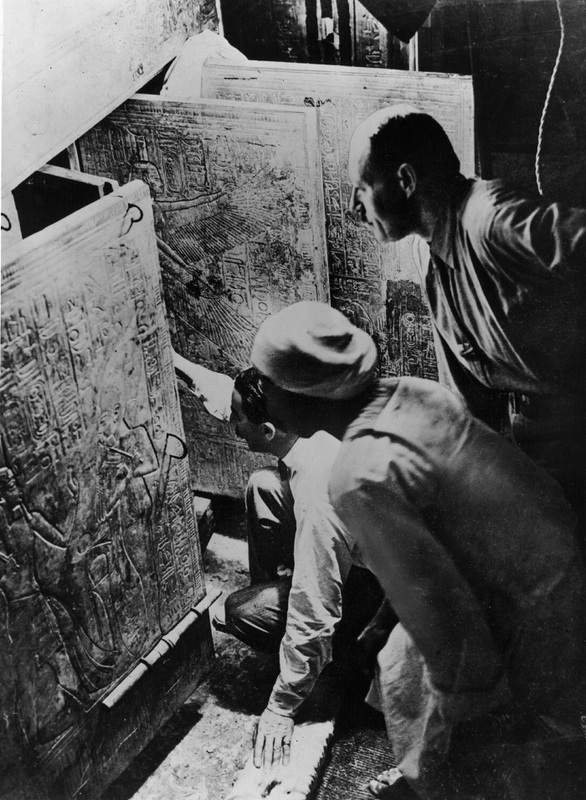 British archaeologists Howard Carter and Lord Carnarvon had followed each painstaking clue of discovery. Three weeks ago, they had uncovered the first step leading to the entrance of Tutankhamen’s tomb, a prize in and of itself that Carter thought he would never find. Just three days ago, their hopes were almost dashed as they broke through a mud and brick door to the passageway leading to the tomb, only to find evidence of robbers. So many other burial places had been pillaged, their treasures destroyed or stolen. If this were the case here, it was yet another crime against history. Today, they found another door and made their way through. Carter leaned inside shining his lamp into the darkness, into a chamber that had seen only Stygian blackness for over 3,300 years. “Can you see anything?” Carnarvon was curious, hopeful, and frustrated at being so close but not knowing if they’d found anything worthwhile. “Yes, wonderful things. It is truly…” Amid the astonishing opulence of the small burial antechamber of King Tutankhamen, he could even see the footprints of the tomb builders, still preserved after over three millennia. Then she saw something else, something moving on the floor near what appeared to be a large representation of the jackal-faced god Anubis. It was a man and he was alive. Gordon Ashe jumped through the time gate less than a second after Aiyana. At first he thought he could reach her before she went through, and then he hoped he would emerge wherever she did (and he further hoped that would be safe and sound back at Project Retrograde). He had a headache but managed to rise to his hands and knees. A light was coming from one side of the room he was in. He thought he heard voices, voices speaking English, but he wasn’t sure. He looked up at the object directly in front of him and instantly recognized the burial sled of Anubis. But this definitely wasn’t the Egyptian Museum in Cairo. Gordon passed out wondering where in time he could possibly be. Travis could hear the sound of thunder. He was being shaken. Where was he? In the passenger seat of a truck. Rain. He could hear the sound of the rain and the slap, slap, slap of windshield wipers. The radio was on but it was mostly static. He could hear a sudden burst of louder static every time there was a lightning strike. A man’s voice speaking English. The driver. Travis wanted to ask “Where am I” when he meant “When am I?” Instead, he passed out. Aiyana’s eyes fluttered. She was lying on her back. She was cold and wet, lying in dew covered grass. The light was dim. It took her a minute to realize that the sun was just coming up over the horizon. She could hear the bleating of sheep, many of them. It was a sound she’d become accustomed to when she lived in the house of Aviram ben Hoshua and his family. But that was a lifetime ago, before leaping back through the time gate. Where was she? Certainly not back at the Project. She opened her eyes. It was Abiyah. It was Aviram and Tovi’s oldest son, just turned thirteen. What the hell happened? She’d jumped through the time gate. Why was she still here? Maybe she was propelled forward in time but not in space. Not too far forward apparently. The young shepherd had jumped up. He was yelling at someone. Calling for help. Then he knelt down beside her again. She could hear running footsteps approach and then slow. The face of Aviram came into her field of vision just as it blurred and darkened. Ross Murdock was right behind Gordon when he jumped through the temporal field and Travis was right behind him. He experienced the usual momentary disorientation, as if he didn’t exist in either time or space, then he all but fell through the gate at the other side. The deck was metal. Wait. Forerunner metal. Lights were bright. He was definitely on his knees next to a time gate, but not Project Retrograde’s time gate. He could hear a chorus of clicks and snaps and something that sounded like a bunch of newspapers being crumpled and torn coming from in front, actually all around him. He let his eyes adjust to the light and then looked up. Forerunners. The time gate chamber was full of Forerunners. They were Blues. Maybe fifteen or twenty of them. The ones closest to him were leaning over him. They looked more curious and concerned than angry, but it was hard to tell with the Forerunner face. The seemed startled when he spoke, as if it were somehow unexpected. Ross remembered the reception he’d gotten from the Orange Forerunner at Atlantis. He remembered the psychic assault weapon used on him and Vasnev Romanovich at the Soviet base in the Ice Age. They were speaking to him in their language as if they expected him to understand. His mind link with the Blue gave him a great deal of insight into the Forerunners. He could read their written language but their spoken words were a mystery. Then one of the Blues approached him with a psionic device, like the one he’d been mind raped with once before by a Blue and another time by an Orange. He pulled back and took a quick look behind him. 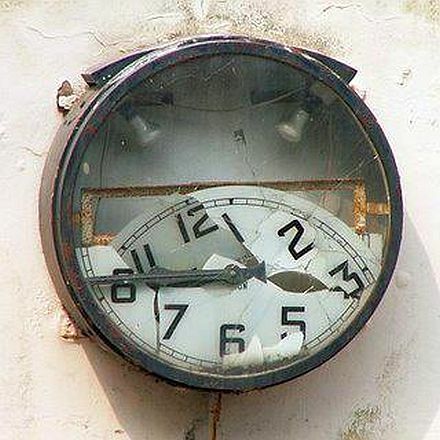 The time gate was turned off. For a brief moment, he thought that might be a means of escape. Now he was trapped, but where and when was he? The Blue holding the device was gesturing. Ross got the impression it was trying to reason with him. They didn’t seem to have a hostile intent, not like before. He looked at the device. It had been activated. Ross felt a kind of warmth, like taking a sip of a good bourbon and letting it hit the pit of your stomach. There was a mild sense of euphoria. He could hear a voice. It seemed gentle. Colonel John Kelgarries hated meetings and he especially hated meetings that presented a major problem without a plan for a clear-cut solution. He really wanted to be smoking a cigar right about now, but even the military commander of Project Retrograde had to comply with the “no smoking” rules. Kelgarries called “the usual suspects,” at least under the current circumstances, into the conference room. Temporal physicists Antoine Barnes and Mineyev Duskin had been whispering to each other excitedly, looking over the display of Barnes’s tablet when Kelgarries spoke. Thomas Lucius was sitting next to Lynn Huỳnh but they weren’t speaking. Thomas knew she blamed herself for the loss of Ashe’s team. It wasn’t true, of course, but she had also lost her lover to the vast corridor of time and it had to be somebody’s fault. Major Vasnev Romanovich was sitting next to his friend Duskin but not involving himself in Duskin’s and Barnes’s interaction. “I assume you would like me to respond to that statement, Colonel.” Dr. Barnes should have been used to the colonel’s gruff mannerisms by now, but he found intimidation and blame to be poor motivators. It was true that seventy-one hours after the termination of the incursion that successfully diverted the experimental Orange Forerunner time-spaceship to the neighborhood of Ceres where its drive spectacularly detonated, none of their time gates were functioning. They had saved millions of human lives and averted climate change and the next extinction event, but the consequence was losing four Project time agents and inhibiting the formation of any temporal field in any of the Project’s gates. “The gates are working, Sir. They never stopped working.” Lucius briefly looked in Lynn’s direction as she subtly nodded, then back at Kelgarries. “I am wondering Thomas, Antoine, if we will share that information with our counterparts in Russia? Kelgarries felt an uncustomary surge of excitement. This was the opportunity to achieve a true monopoly in Time Travel. With the Russian’s temporal capacities just as crippled as Retrograde’s, once they found a solution, they would be the only nation on the planet to be able to travel in time. All they had to do was keep it to themselves. The implication was clear. Vasnev Romanovich could leave the conference room, but if he were still working for the Russian military (no one was really sure what Vasnev’s intentions were), then he was not free to leave the base or even to communicate with anyone outside the base. “Excuse me Vasnev, but maybe your Colonel has a point.” Duskin’s motives were not as mysterious as his fellow countryman’s. He was a declared defector. He had seen first hand that his former government treated scientists like pawns and that their only motive was for power and conquest. He hoped he saw other characteristics in the Americans, but he knew that keeping the Russians from regaining the power to travel in time for as long as possible had many benefits. Kelgarries keyed off the comm. The tension in the room felt like static electricity. They’d all worked closely with Vasnev. He was a member of Ashe’s team of agents, or so they all believed. It was at the very least uncomfortable that Kelgarries was treating him as a security risk. They knew the Colonel was doing his duty as an Army officer and Project Retrograde’s military commander, but duty didn’t always excuse everything. To Mineyev, who had grown up under a totalitarian regime, it was still painful to be considered a friend one minute, and a threat the next. Gordon came to and blinked his eyes. It was hot and dry. He was in a tent, canvas, laying on some sort of cot. Had he dreamed about the god Anubis towering over him as if he were a true supernatural deity? Ashe sat up and found he felt better than expected. Just a slight headache. He swung his legs over the cot and planted his feet on the dirt. Howard Carter. He and Lord Carnarvon were the discoverers of King Tutankhamen’s tomb. It not only changed course of their careers, but dramatically impacted the world of Egyptology and archaeology. History recorded that Carter had died on March 2, 1939 in Kensington, London, in the United Kingdom, but here he was alive and in the flesh, one of Gordon’s childhood heroes. The other British archaeologist took his hand and shook it. Gordon handed back the canteen and Howard placed it on a small wooden crate. Gordon sighed. How could he possibly explain? He could hardly believe it himself. Somehow when he went through the gate, instead of returning to Project Retrograde in 2017, he had materialized in Egypt, November…oh what was the date…November 26, 1922. It must be the artifact. The one in the burial sled of Anubis. Somehow the chronotons it was releasing attracted Gordon to this place and time. No, it didn’t make sense, not unless there had been another time storm and he’d fallen into one of Barnes’s time conduits. No, that didn’t make sense either. You didn’t have to be anywhere (or when) near a gate to fall victim to a time tunnel. He came here because he’d jumped through a gate. The gate. Did it still exist on this side? Was it still sitting inside of the tomb? If it was, Carter, Carnarvon, anyone working in the tomb might step through it and end up…anywhere. Great. That’s all Gordon needed. To end up in some jail in Cairo in 1922, trapped nearly a century in the past. Carter’s eyes grew wide as Gordon, playing a desperation move, began to reveal what he could not possibly have known. 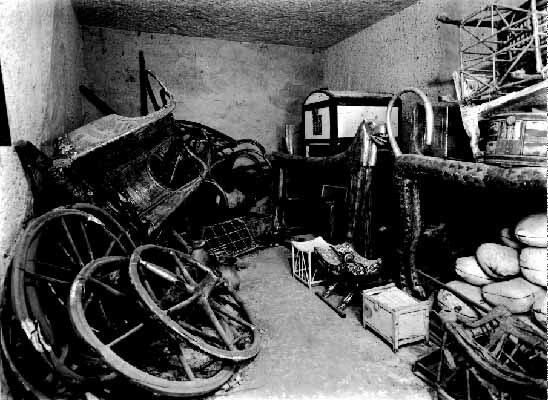 Artifacts found an in antechamber in King Tut’s tomb. Barnes and Duskin had already been called. Lynn was working the other console. They had input the initial algorithms provided by the temporal mechanics team and were running some tests when they thought they heard a voice over the comm link. The two physicists ran into the gate’s chamber together. Kelgarries was less than thirty seconds behind. Gordon had finally convinced Carter to accompany him alone inside the tomb. If Carter truly thought he was insane, then he certainly had every reason to fear that Ashe might attack him, but hopefully he believed Gordon was someone or something else. Ashe was still wearing his “costume,” which was more appropriate for the 10th century BCE middle east than early 20th century Egypt, but he was also still wearing his earpiece and throat mike, both all but invisible to the unaided eye. It was a pity that Ross had been carrying the chronoton detector. He might be able to scan the Anubis sled and somehow prove it was emitting a type of radiation. Radium was well-known in this day and age, so Gordon might be able to work off of that knowledge to convince Howard Carter that something like it was operating in the tomb right now. It wasn’t lost on Ashe that the detector would also be able to register the presence of an active gate, if it really were still here in the tomb. On the other side of the gate, Lucius was manually adjusting the controls to achieve a closer time phase lock in the hopes of at least being able to communicate with Gordon. “What the devil?” Carter was astounded. He had no explanation for the strange display he was witnessing. He couldn’t hear who was speaking to Ashe, but it seemed apparent now that he was communicating with someone through a doorway he could not detect with his senses except for momentary flashes of light. He had come to discover the archaeological find of the century, the tomb of King Tutankhamun. What he had actually found was something else entirely, something beyond human imagination. The time incursion has sent each member of Gordon Ashe’s team to different locations in space and time with only a slight hope of ever being found and turned to the present. Yet where and when they’ve been sent may not be entirely random as this story hints at and the next one reveals. What is the secret of where and when the time agents have been sent to? I’m playing fast and loose with history again, compressing a series of finds made over several months time to just a day or so. If I didn’t, the pace of the story would slow considerably. 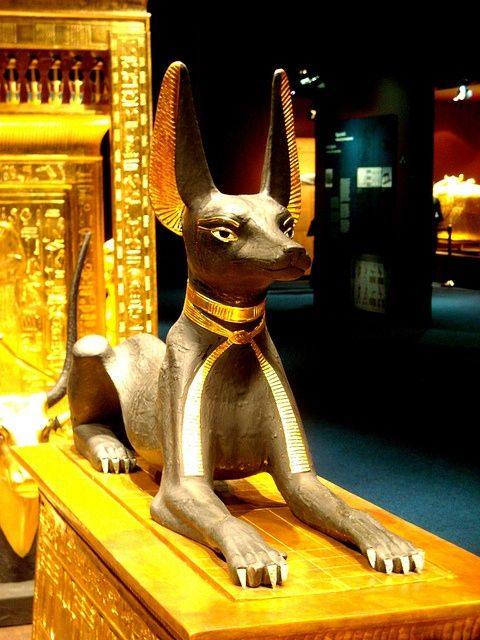 Hopefully though, you’ll be curious enough to discover the true and fascinating details of the discovery and exploration of the King Tut’s tomb. The next chapter is Walking on Fragile Ribbons of Time.